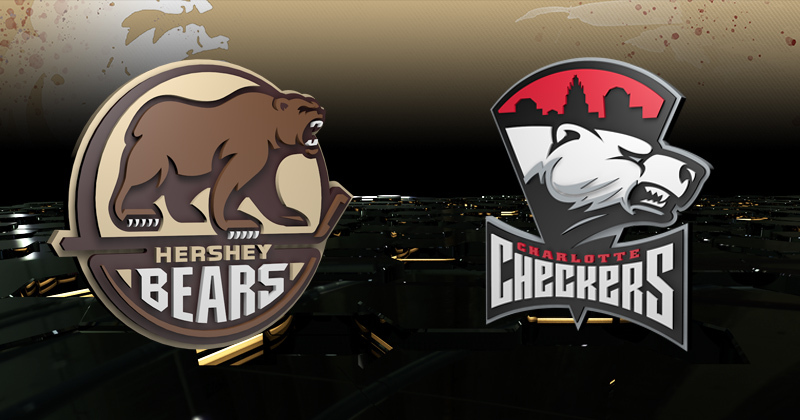 02/10/2019 - The Hershey Bears close their four-game season-series tonight against the Charlotte Checkers. Both teams rematch after a 3-2 shootout win for Hershey the previous night. A win tonight would be Hershey's sixth victory in a row. The Bears have climbed to fifth in the Atlantic Division and are just two points out of a playoff spot. With the shootout win last night, Hershey extended its point streak to 11 games. The last time the Bears had a point streak longer than this came during the 2015-16 campaign in a season that the Bears advanced to the Calder Cup Finals. The Bears collected points in 13 straight games from Jan. 10-Feb. 10, 2016. Hershey went 9-0-2-2 in that stretch and went on to win the Atlantic Division. Hershey is 10-0-0-1 in its current 11-game point streak.